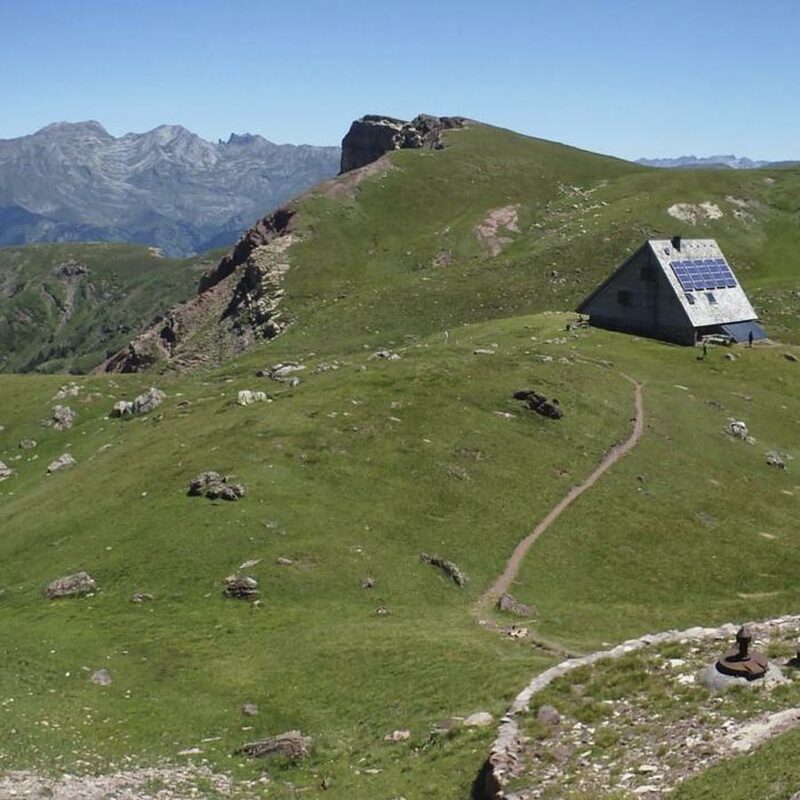 7 MOUTAIN HOSTELS IN THE OCCIDENTAL VALLEYS OF THE ARAGONESE PYRENEES AND IN ASPE VALLEY IN FRANCE. 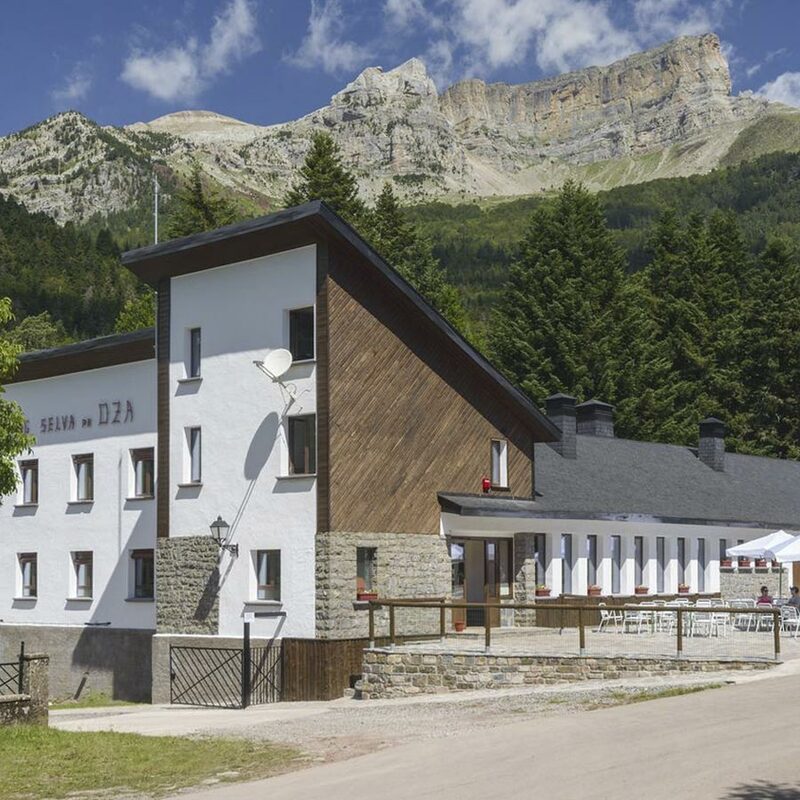 For accommodation, you will be staying at the Linza Refuge (Ansó), Selva de Oza Campsite (Echo), Gabardito Refuge (Echo), Aysa Hostel (Somport/Candanchú), Arlet Refuge (Aspe Valley) and in a hostel or hotel in Lescún (Aspe Valley). 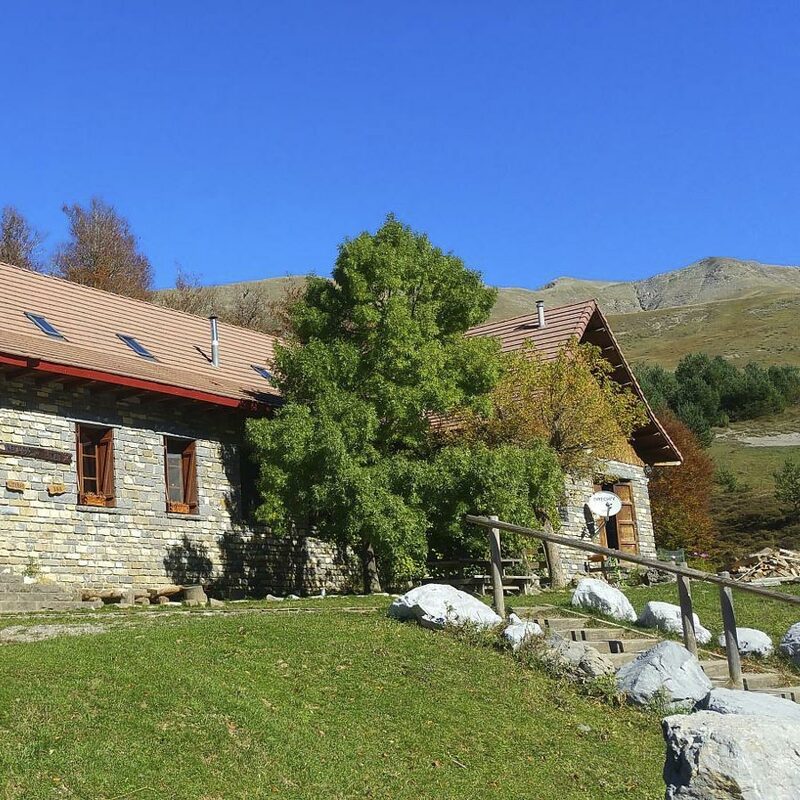 Linza is a nice spot located at 1.340m altitude in the Ansó valley, 20 km away from the village. 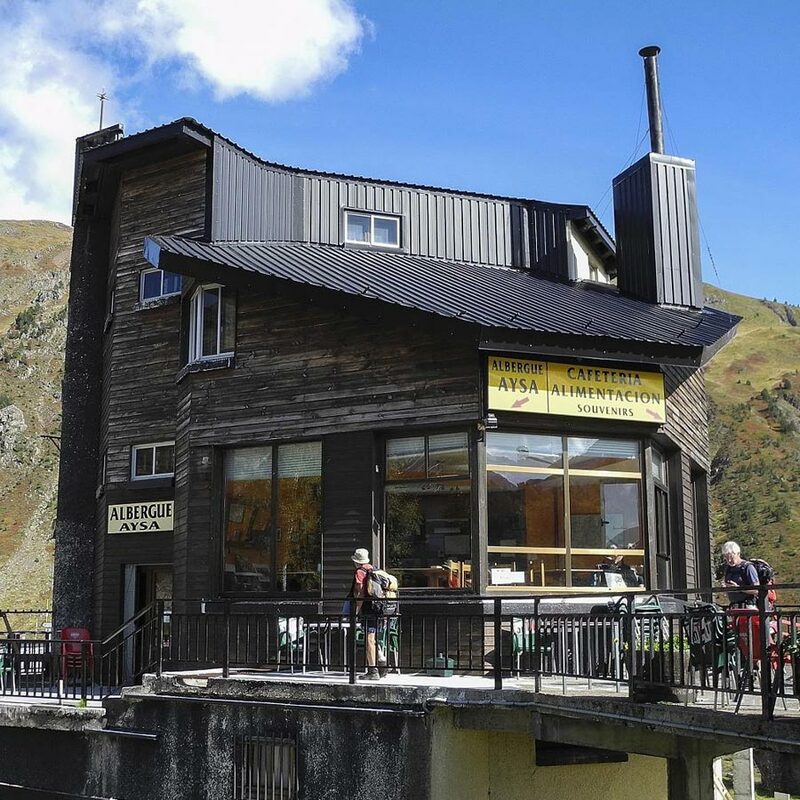 The mountain hostel there has 79 places, bar, restaurant and self-catering kitchen option. 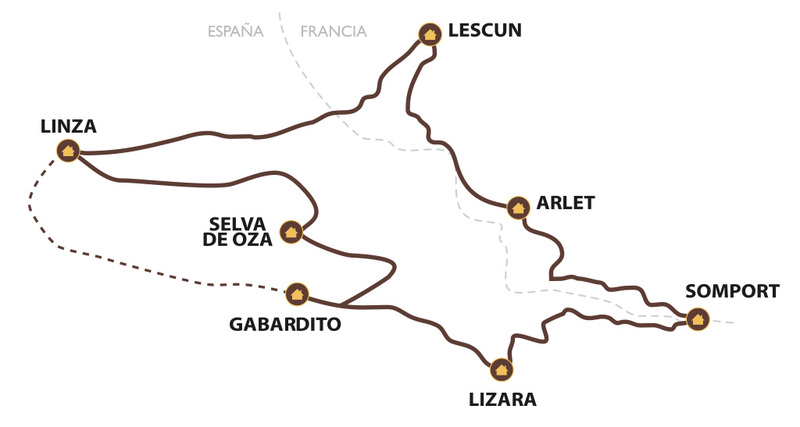 To drive there, there is a tarmac road from Ansó and from the village of Isaba in Navarre. There is a parking area too. There are cross-country ski tracks, a ski school and rental facilities. 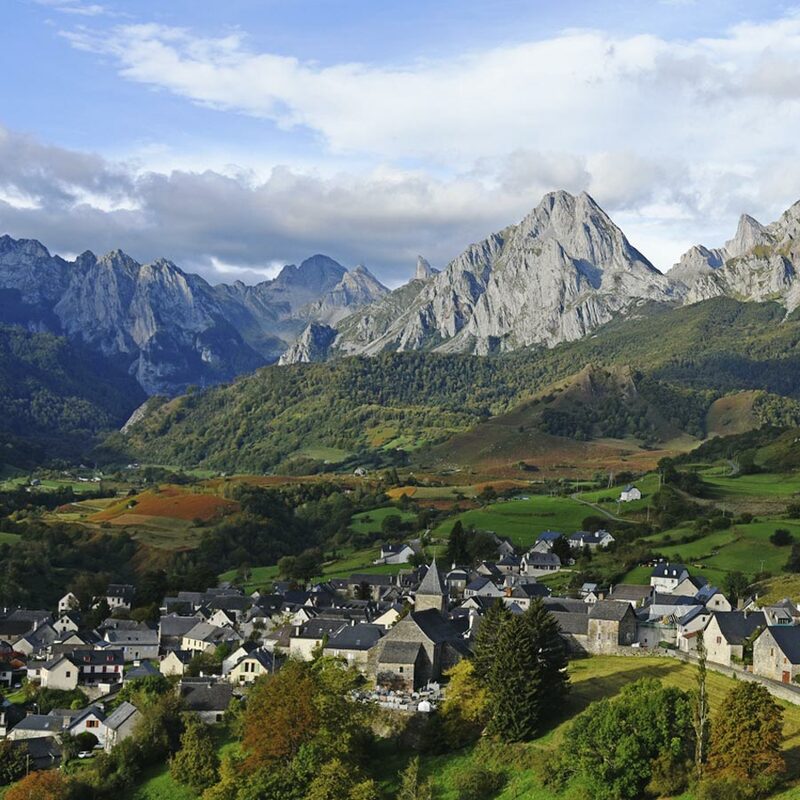 It is the best starting point for the climb to the peak known as Mesa de los Tres Reyes, a natural border or meeting point for the three Middle Age kingdoms of France, Aragon and Navarre. Once you are in the village of Ansó, head towards Zuriza, 15km away. From here it is a 5 kms to Linza. 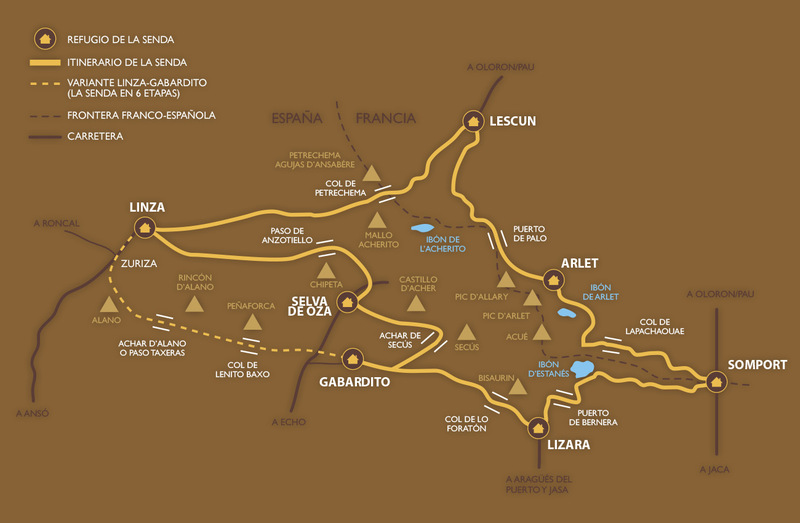 Zuriza can also be accessed from the Roncal Valley in Navarre. Zuriza is signposted from a crossroads a little north of Isaba. In the Selva de Oza at 1.150m altitude is the Selva de Oza Campsite, in one of the most picturesque locations of the Aragonese Pyrenees. Surrounded by the summits of Castillo d’Acher, Peñaforca and Chipeta, this dense mixed forest has some stunning views and is the starting point for numerous excursions. The campsite has a camping area, hotel, hostel, shop, restaurant and bar. Selva de Oza is located in the upper Hecho Valley. To reach it take the A-176 from Puente la Reina de Jaca, continue through Hecho and stay on the same road for a further 12km to Selva de Oza. 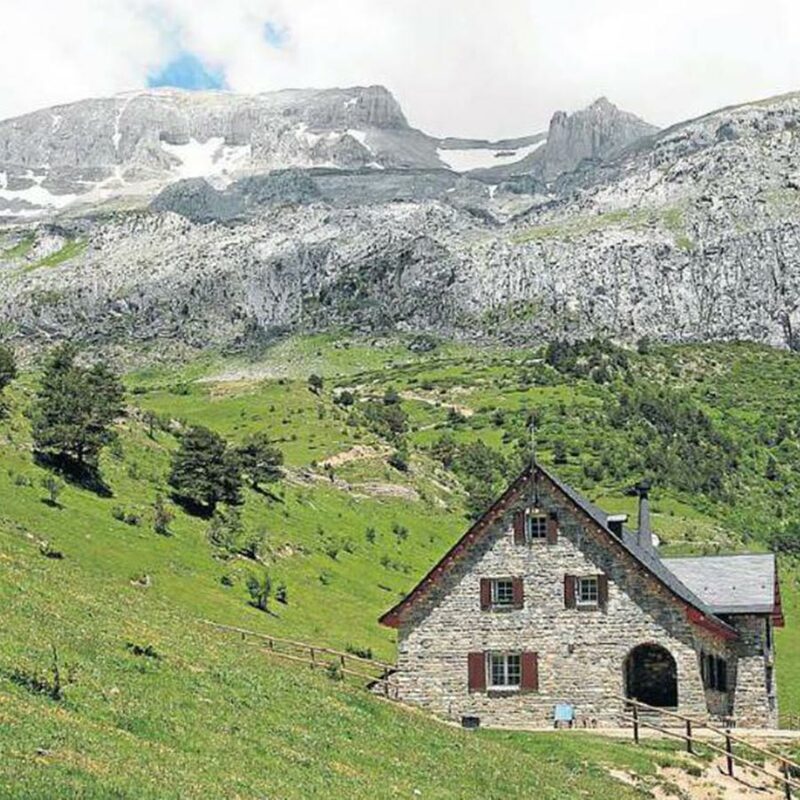 1.400m of altitude, by the side of Agüerri and Bisaurín, the mountain hostel of Gabardito is only 14 km of the village of Hecho. There are 45 places, bar, restaurant and self-catering kitchen option. The area of Gabardito has impressive views towards the summits of Peñaforca and Agüerri. There is a parking area too. There are cross-country ski tracks, a ski school and rental facilities. Situated in the Valle de Hecho, Gabardito is accessed from Puente la Reina on the A-176. Follow the road through Hecho towards Selva de Oza and in approximately 8 kms turn right at the crossroads (sign-posted) and climb for a further 7 kms. Lizara is located 1.500 m height, at the bottom of Bisaurín summit, only 11 km away from the village of Aragüés del Puerto. There are 75 places, bar and restaurant, living room and self-catering kitchen option. The road to reach the hostel goes through a dense mixed forest. There is a parking area too. There are cross-country ski tracks and rental facilities. Lizara is accessed from Puente la Reina on the A-176. Follow the road and in approximately 16 kms turn right at the crossroads Aragüés-Jasa. Once past the village of Aragüés del Puerto, follow the road towards Labati for a further 11 kms. 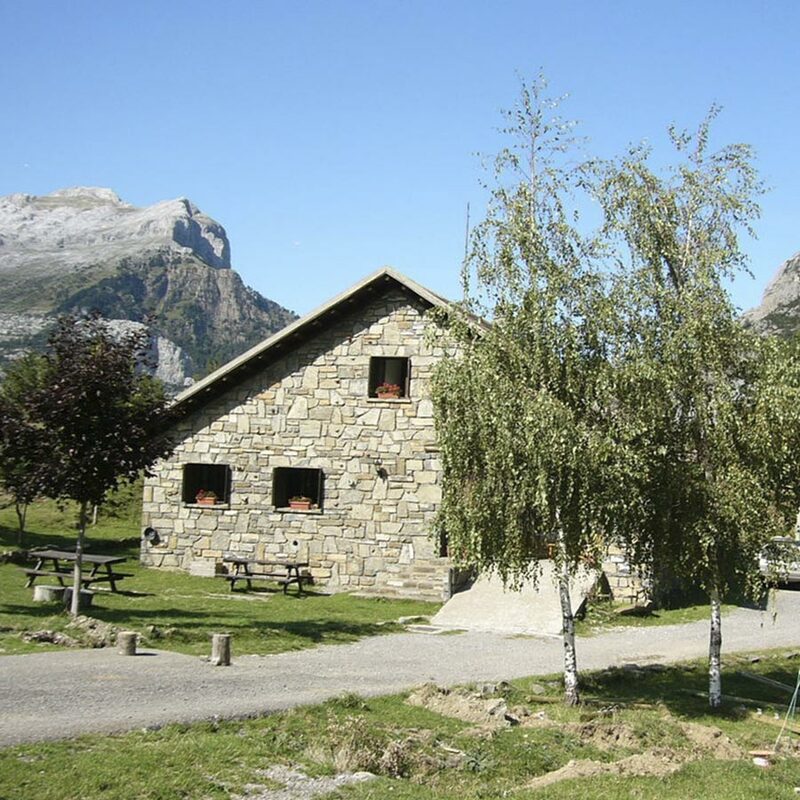 Albergue Aysa is located 1.600 meters of height, opposite the ancient border with France, half way of the mountain ski resorts of Candanchú and Astun and cross-country ski tracks of Le Somport. The mountain hostel there has 45 places, bar, restaurant and a shop. Aysa is accessed from N-330 from Jaca to France and the N-134 from Oloron (France). It is also a Camino pilgrim path. There is a parking area. Arlet is the only refuge of the trek which cannot be accessed by car. It is located by the side of the lake of Arlet, at 2.000m altitude. There are 43 places, bar and restaurant service. In order to begin La Senda de Camille at Arlet, there are various routes from the Aspe Valley in France. One way is to leave N-134 a little before the Somport tunnel at a crossroads called Forges d’Abel.  Parking is available at Espélunguère and from there follow the well-marked paths on foot for 3,5 hours. 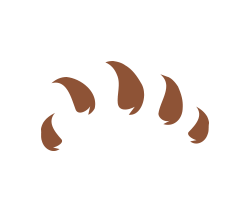 You can also arrive from the Spanish side, from Hecho – Selva de Oza – Aguas Tuertas. Lescun is a charming village and valley. There are hotel and hostel options. You choose. To arrive by car, drive up the road D339 from the N-134 on its way to or from the Spanish border.